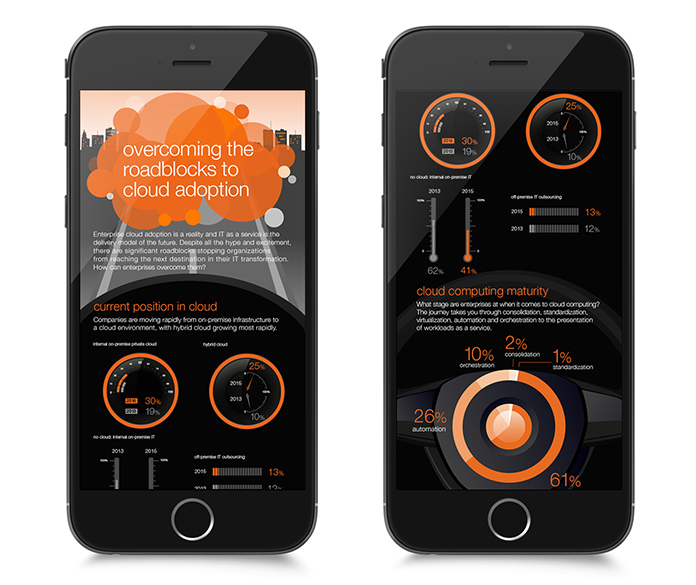 This infographic for Orange Business Services is designed to highlight the problems businesses might face when adopting cloud computing. The infographic was illustrated with a viewpoint from a car windscreen with the stats illustrated within the dashboard. Content and statistical information was written and sourced by Futurity Media.